RussellTheShihTzu, Shortnsweet, tindi and 2 others like this. Here is my new boy Liberace bubble nest. Autumncrossing and BubbleTeaSonnet like this. Autumncrossing and dennythebetta like this. 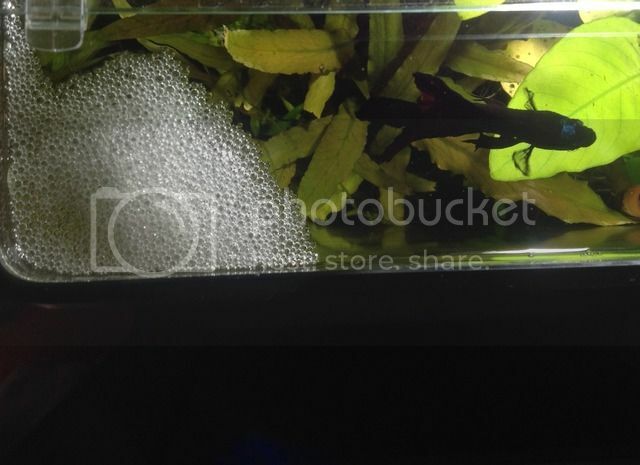 My other two big bubble nest builders are no longer with me, unfortunately. I'm returning this contest. As long as contests are for fun and it is so stated by the OP they are fine. Just make sure to read and follow this sticky before starting one of your own. PS: It's a great contest idea! Yep this is just for fun . RussellTheShihTzu and Bettaloveee like this. He's kept it going for several days but the leaf its under is breaking down now. Entering my newest boy's nest, Suiche! He's only been with me a few days after coming from a breeder and he's loving it here apparently! Tuigirl, ThatFishThough, Autumncrossing and 1 others like this. It doesn't matter if you on the same page, it matters if your in the same BOOK.